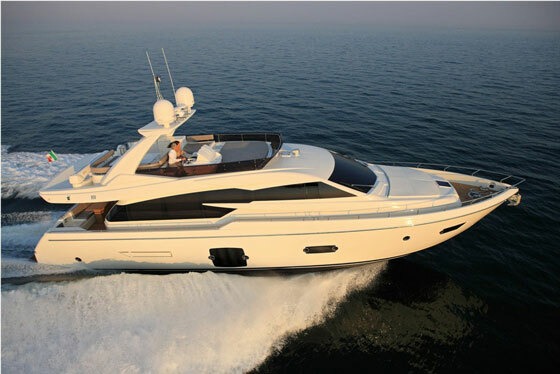 The new Ferretti Yachts 700 is indeed the evolution of one of the greatest recent successes for Ferretti Group’s historical brand. The sports yacht, arrived in style at it’s world première during the Cannes Yachting Festival 2015, creating quite a buzz. The WSB team welcome the new year with a closer look at the new gem of the Ferretti flybridge range. Due for launch in the spring of 2012 at an overall-length of over 26.5 metres, allowing to fully enjoy the spaciousness of a great Ferretti yacht in spite of a hull below 24 metres: this is the Ferretti 870 Project, available in the standard, roll bar version or – depending on the Ownerfs tastes – with an optional hard top. 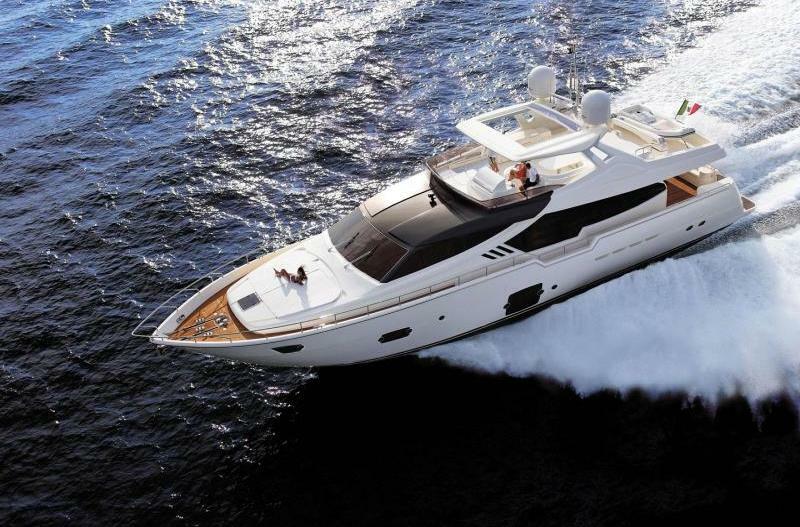 A new, important accomplishment by Ferretti Yachts in the large yachts segment. 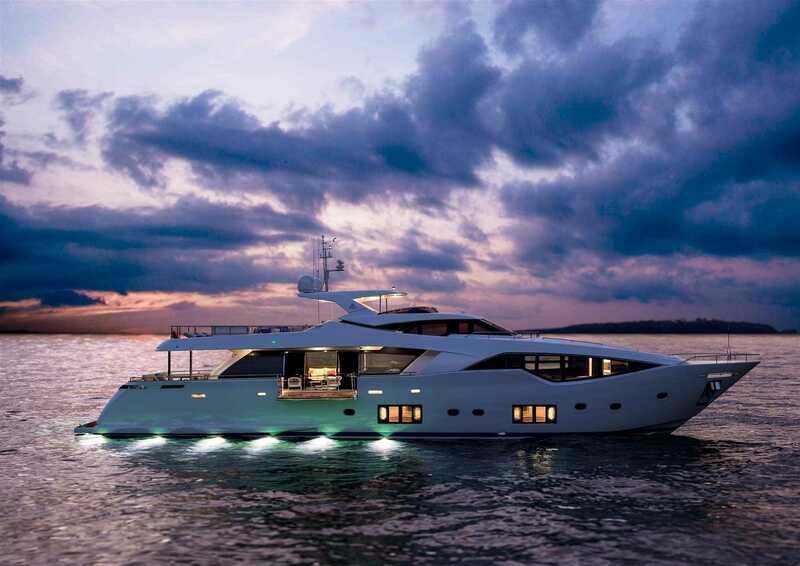 The Ferretti 870, that will be presented during Spring 2012, is yet another outstanding result of the close cooperation between Studio Zuccon International Project, AYT – Advanced Yacht Technology, the Ferretti group’s research and naval design centre, and the team of architects and designers of the Centro Stile Ferrettigroup. 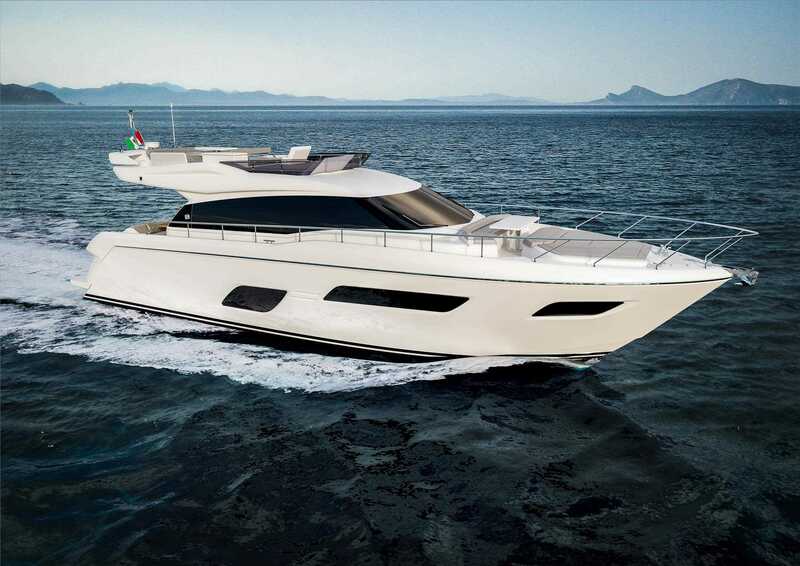 Ferretti Yachts will present the new Ferretti 500 and Ferretti 620 at the 50th International Boat Show in Genoa in October. These two models have been developed from the working relationship between Studio Zuccon International Project, and the Ferretti Groups AYT and Centro Stile, and renew the entry and intermediate level yachts of the range. 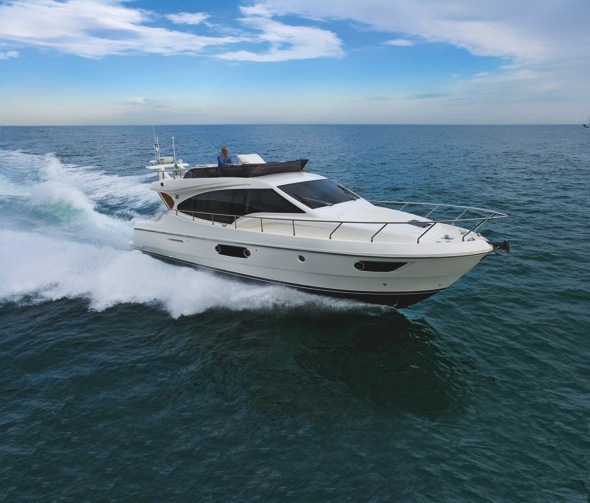 Ferretti 500 is the re-examination of Ferretti 470, one of the bestsellers of the Ferretti Yachts entry level range, and has been designed to offer Owners even greater comfort by means of targeted solutions.